Due to the extraordinary measures on the Internet that affect fundamental human rights and freedom, and as most of the cyber policy forums are inclusive to governments and private sectors, human rights defenders need to take several approaches to have an effective role in cyber policy. However, many human rights defenders in the Arab region lack the required tools, skills and knowledge to participate effectively. 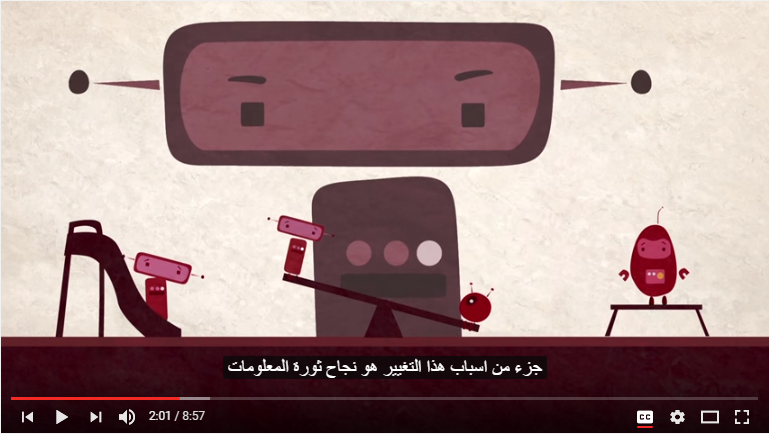 In order to introduce Arab internet users to key cyber issues, the means by which these issues affect human rights and possible ways of engagement, SMEX cooperated with Global Partners Digital to translate its video series “How to Engage in Cyber Policy: Tools for Human Rights Defenders” into Arabic. This series, structured into five modules: human rights, cybersecurity, regulatory frameworks, cyber capacity building and regional highlights, enables Internet users to defend an open and secure cyber space that respects human rights and puts them into practice. SMEX partnered with Localization Lab on using Transifex, a community-led translation tool to translate the videos. Volunteers from Global Voices and some of the participants at the School on Internet Governance 2016 have also helped in the translation process. The videos with Arabic subtitles will be published on the SMEX YouTube channel. We hope you will benefit from the lessons this series teaches you, and that you start engaging in cyber policy. Social Media Exchange (SMEX) is a registered Lebanese NGO that works to advance self-regulating information societies in the Middle East and North Africa (MENA).